Wondering what to wear on Mother’s Day? 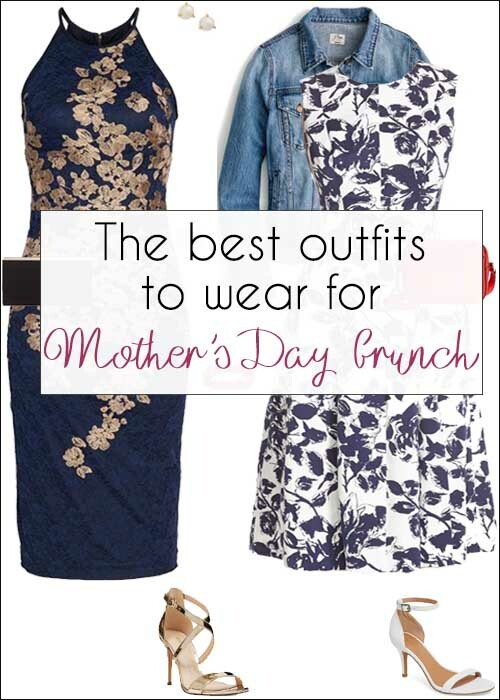 Here are some of the best outfits to wear for Mother’s Day brunch. Now all you need is to make sure your children have either remembered they need to take you out, or that it’s their turn to cook! As a Brit, I’m used to Mother’s Day being held in March. In the UK, the day is actually Mothering Sunday and is tied in with the day servants used to be allowed to take the day off to visit their family. In the US, on the other hand, and in most parts of the world, Mother’s Day takes place in May and is the brainchild of social campaigner Anna Jarvis who held a memorial service to honor her mother and all mothers. So, having moved to Singapore, we’ll be celebrating in May this time around. And, given that I shouldn’t have to lift a finger all day, I won’t have to worry about wearing anything too practical. Time for heels and pretty dresses! 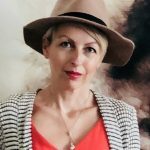 Here are five outfits I have my eye on! There’s just something about Mother’s Day which makes me want to dress in a more feminine way. Perhaps it’s because the weather tends to be improving, or perhaps it’s because the day is a celebration of females everywhere. Whatever the reason, a floral dress just seems to hit the mark! If you’re heading to a semi-casual lunch spot, you could always dress your outfit down slightly by adding your favorite jean jacket. Somehow, a maxi dress always seems a little more special. Probably because I don’t wear them very often! I love the duck egg blue of this one. It reminds me of the blue of Tiffany jewelry boxes! Simple to wear because of the soft, stretchy jersey fabric, it’s also effortlessly elegant. You could easily dress this up with a statement necklace and a blazer for Mother’s Day, and then keep it in your closet and wear with flat metallic sandals for vacation time. If you prefer separates to dresses, then a silk mix skirt in a relaxed style is perfect for Mother’s Day. This one could be a great multi-tasker. You could wear with a simple white shirt for Mother’s Day, but it would also look beautiful for a night out teamed with a black or navy top and silver or gold jewelry. Prefer pants to a dress or skirt? I always think a pair of white pants looks both luxe and relaxed at the same time. 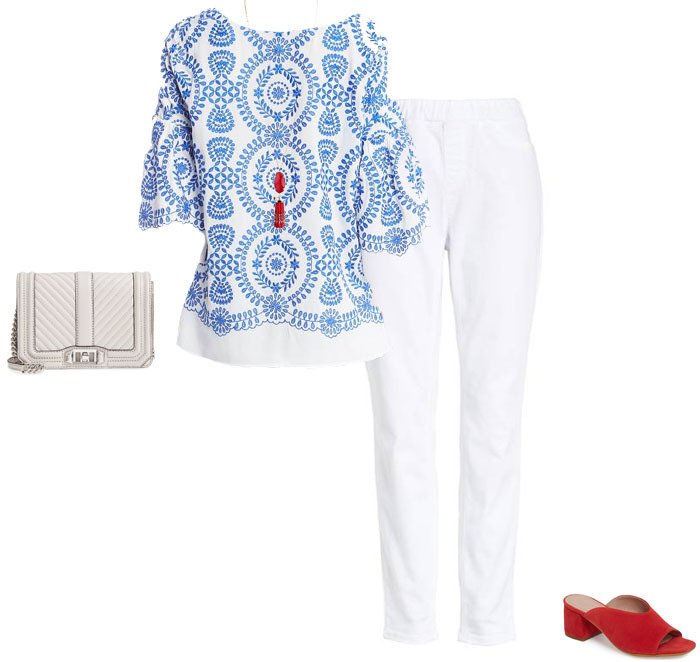 Team with shades of blue and red for a classic color combination. If your nearest and dearest are taking you out for an evening meal rather than brunch or lunch, then you could still opt for lovely florals, but with a more formal vibe. This halterneck dress with its gold florals is very flattering and would be perfect for a special occasion. You could also wear it if you have any wedding invitations this summer! What are your plans for Mother’s Day? What will you be wearing? Next post: #40plusstyle inspiration: 15 fabulous looks featuring the color GREEN – which is your favorite?